American Born Chinese meets Buffy the Vampire Slayer in this grounded supernatural YA mash-up The struggle to get into a top-tier college consumes sixteen-year-old Genie's every waking thought. But when she discovers she's a celestial spirit who's powerful enough to bash through the gates of heaven with her fists, her perfectionist existence is shattered. Enter Quentin, a transfer student from China whose tone-deaf assertiveness beguiles Genie to the brink of madness. Quentin nurtures Genie's bodacious transformation-sometimes gently, sometimes aggressively-as her sleepy suburb in the Bay Area comes under siege from hell-spawn. 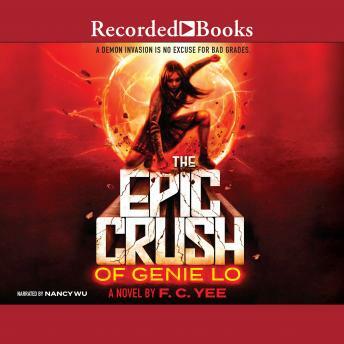 This epic YA debut draws from Chinese folklore, features a larger-than-life heroine, and perfectly balances the realities of Genie's grounded high school life with the absurd supernatural world she finds herself commanding.